And with that adorable, lilting introduction, a smile has already been plastered to my face, and it's nothing but chortles and awwws throughout the rest of the book. Because the thesis of this picture book is as follows: no matter how beastly the babies are, their mamas still love them. 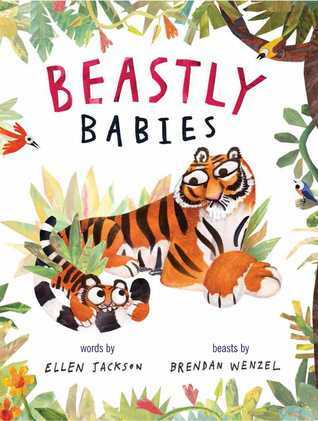 Ellen Jackson's melodious rhyming verse paired with Brendan Wenzel's playful mixed media illustrations (crayon, paper collage, water color...) make Beastly Babies a match made in picture book heaven. I'm definitely adding this book to my mock Caldecott list. 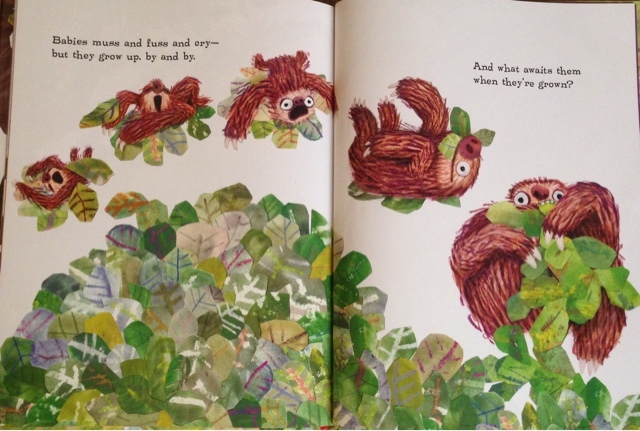 Now, one might assume from knowing me that my favorite page spread in Beastly Babies is of the sloths. But one would be wrong. 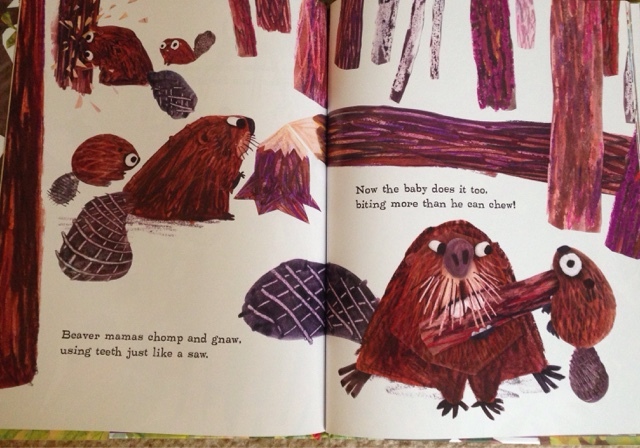 The beaver baby who bites more than he can chew had me laughing out loud and is by far my favorite. But despite having a favorite layout, all of the illustrations are completely endearing and will likely put Beastly Babies on your list of favorite picture books of 2015. I know it's now on mine.